Where are the bathrooms located? Can I store my stroller, personal items, or goods at SEA LIFE Charlotte-Concord Aquarium? Where can I buy food and drink in SEA LIFE Charlotte-Concord Aquarium? 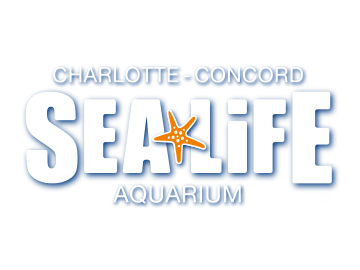 What will I see when I visit SEA LIFE Charlotte-Concord Aquarium? This one-of-a-kind experience will get you up close and face-to-face with amazing underwater creatures such as sharks, stingrays, sea stars, seahorses, jellyfish and thousands of colorful fish! Can I take a camera into SEA LIFE Charlotte-Concord Aquarium?